Neil Luck, ARCO and Kammer Klang invite ‘extras’ to attend a rehearsal of Luck’s new work Live Guy, Dead Guy ahead of its UK premiere at Cafe Oto on 5 June. Those in attendance will participate as a recorded live studio audience, to feed into documentation of the work. 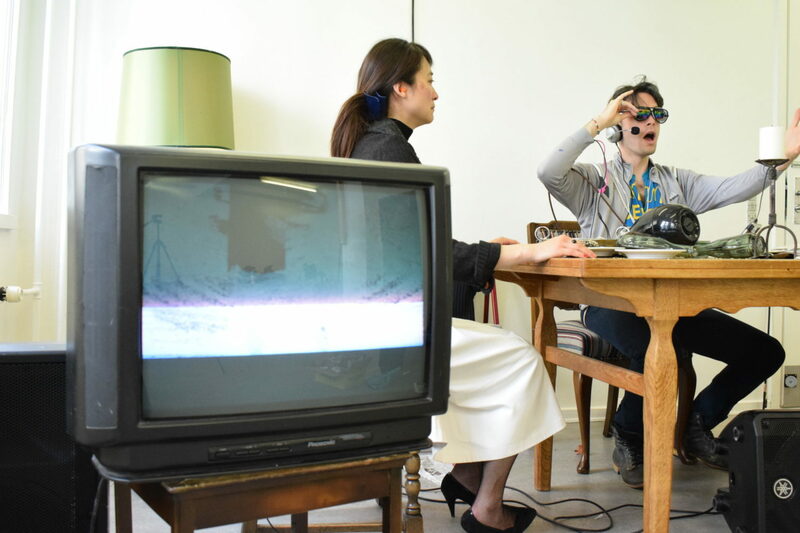 Live Guy, Dead Guy is a piece for four performers exploring the intersection of digital identity, the occult, techno-fear, mime and chamber music. The group will work through the whole piece and open the floor to questions and discussion with the audience. This is unusual opportunity to experience the somewhat unorthodox rehearsal methods and performance practices of ARCO, and to get an insight into how a new work of this peculiar ilk is wrenched to life. Free Kernel beer and snacks for all. 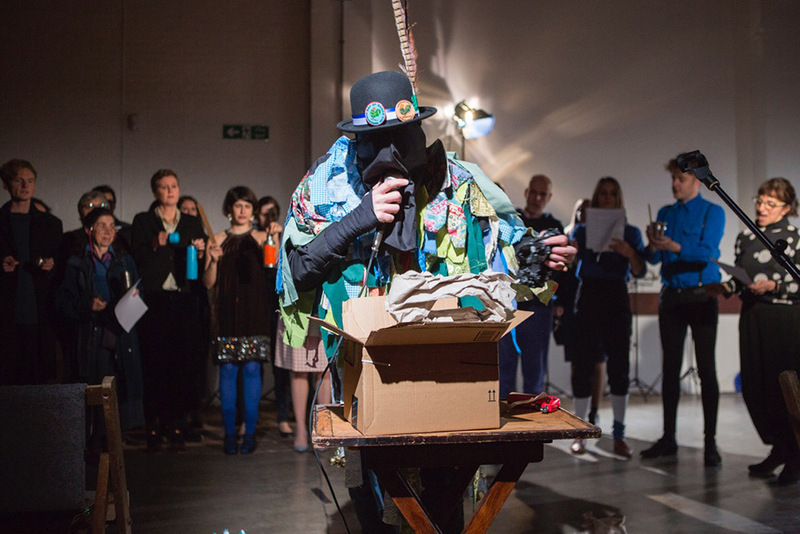 Neil Luck is a composer and performer and director based in London interested in live performance, fallible bodies, the pathetic, theatre, the esoteric and the unesoteric. His music is concerned with sound, of course, but resonates with other live and fine arts practices. As a curator and producer Neil has organised a number of events and festivals which reflect his interests in performance, collaboration, and questions of taste. He founded the experimental music ensemble ARCO, and co-founded the artist cooperative and net-label squib-box with Adam de la Cour and Federico Reuben. Live Guy Dead Guy is generously supported by the Hinrichsen Foundation and the Arts Council England.